Making sure that the payments you’re accepting online are secure is one of the most integral parts to keeping your online business safe. Just like in-store transactions where payment terminals and processors work together to make sure that a payment is safe and valid, it’s important to make sure that you have a system in place to ensure you’re accepting secure payments online. But how exactly do you do that? Read on to find out! Before thinking about integrating a payments solution into your website, it’s important to make sure that the website itself is secure. To have a secure website means that there are safety certificates running on the back-end of the website that all data has to pass through. This ensures that nothing dangerous is passed through to your site, and information put into your website like passwords or credit card details is kept safe. One of the most common safety certificates is an SSL certificate – the “S” even stands for secure! Websites running a website with an SSL certificate start the URL with “https” instead of “http”, so it’s easy to check if yours is running one. There are a few different levels of secure websites, so if you’re unsure about if yours is up-to-date, make sure to speak to your hosting provider or web developer. Once you know your website is secure, it’s time to integrate a secure payments solution! If you’re new to the world of ecommerce and just starting the process of launching an online store, this can be a simple process. When finding a payment provider, make sure to discuss the security measures they take with their ecommerce solutions – this can be everything from the features embedded into the solutions, to the add-on services they offer. Here at Moneris, we offer two main ecommerce solutions that can be tweaked to meet the needs of your business, a HPP and API. You can learn more about both of these solutions our article, The Best Online Payment Methods For Your Business. If you already have an ecommerce solution integrated, but aren’t sure about it’s security features, make sure to have a conversation with your payment processor. Adding an additional layer of fraud protection is a great way to make sure you have all the security measures in place you could have. The additional fraud prevention tools you can add to your ecommerce solution solely depend on the payment processor you’re working with, so make sure to speak with a representative about what’s available to you. Here at Moneris, we have a number of solutions, including AVS and CVV, Tokenization and Vault, and more. 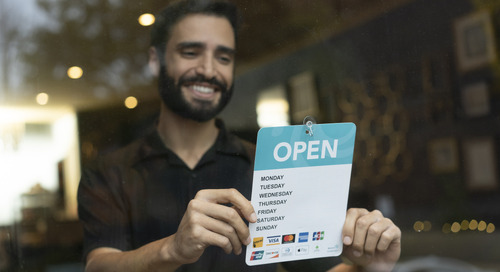 To learn more about accepting secure payments, make sure to check out our articles, The Many Ways Small Businesses Can Accept Secure Payments and Which Payment Methods Should You Be Accepting!